Spiders are very common household pests, which is why two-thirds of all American homes are occupied by these eight-legged creatures. While some spiders may be beneficial to the indoor environment by eating other pests, killing other spiders, and in some cases preventing diseases from spreading, the majority of spiders are filed under the category of unwanted guest. While many spiders are benign, there are quite a few species that are indigenous to California that can be harmful and poisonous to your family and pets. The expert technicians at Mariners Pest Control will help identify the degree of spider infestation that your household is experiencing, as well as the particular species that inhabits your household. 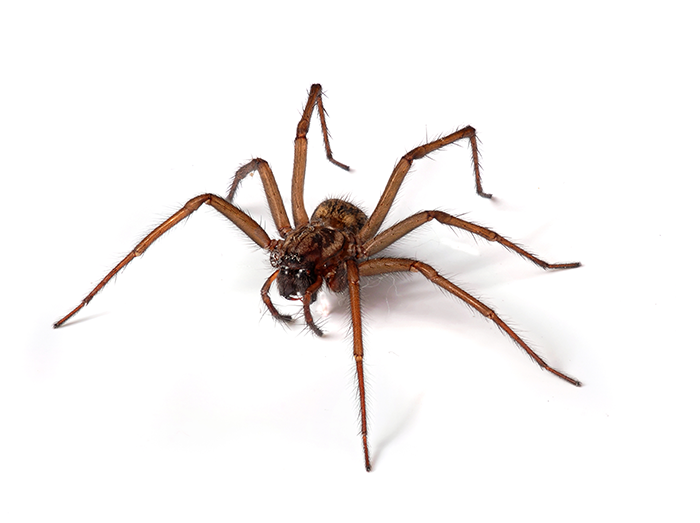 Whether you are experiencing a common American house spider infestation or are harboring a few spider solitaires of brown recluse or black widows, Mariners Pest Control can inspect your home and customize a treatment plan to exterminate your spider infestation. Spider treatment usually includes internal and external home insecticide treatment, as well as destruction of any spider egg sacs found. In addition to insecticide treatments, your Mariners Pest Control technician will recommend the correction of any direct access points including torn screens, as well as cracks and gaps around door and window frames. In most cases, spiders are entering your home as hitchhikers inside boxes and other items that have been brought from outdoors to inside your home. In order to best assess your spider treatment needs, please call 888-945-2847 or fill out our contact form for your FREE pest control inspection. The majority of those spiders that can bite people have venom that is harmless to people. Two notable exceptions in the United States are the Brown Recluse and the Black Widow. I’ve noticed that I have a lot of cobwebs in my house. Are those from spiders? Yes, the cobwebs you are seeing are from spiders – and are most likely from a common American house spider.While these spiders are usually harmless, they can make it more difficult to keep your house tidy. However, other species of spiders can be harmful and poisonous to your family and pets. The expert technicians at Mariners Pest Control can identify the particular species that inhabits your household and recommend a course of treatment. I found a black widow in the corner of my garage. What should I do? 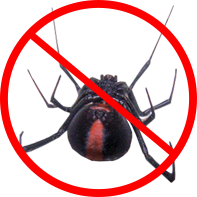 The best thing to do would be to keep your pets and children away from the area that the black widow is occupying, and to call a professional pest control company to eliminate this poisonous spider and investigate for additional black widows. Spiders are solitary creatures, so it is very unlikely that you will find more than one black widow on a web. They could, however, be hiding in additional places in your garage or home. I am afraid of spiders! Can you prevent spiders from infesting my home? The professionals at Mariners Pest Control can inspect your home for spiders, as well as identify any access points through which they can easily enter your home. Additionally, Mariners Pest Control can provide quarterly pest control services to the outside perimeter of your home to help eliminate any existing spiders and their eggs, substantially decreasing the likelihood of a home invasion. While we help eliminate spiders, we are also eliminating other household pests that are a ready food supply for spiders. I’m confused – do spiders prefer moist or dry conditions? Different species prefer different conditions. Spiders that prefer moisture are found in basements, crawl spaces and other damp parts of the home. Others like dry, warm areas such as air vents, upper corners of rooms and attics. Mariners Pest Control is the right choice to rid your home of spiders! Call us today at (888) 945-2847 or fill out our contact form to schedule your FREE spider inspection. We service Orange County, San Diego County, Los Angeles County, Riverside County, and San Bernardino County.